Abstract: Cluster headache (CH) is a primary headache and considered as one of the worst pains known to man. The sphenopalatine ganglion (SPG) plays a pivotal role in cranial autonomic symptoms associated with pain. Lesioning procedures involving the SPG and experimental acute SPG stimulation have shown some degree of efficacy with regard to CH. A neuromodulation device, chronically implanted in the pterygopalatine fossa, has been specifically designed for acute on-demand SPG stimulation. In a pilot placebo-controlled study in 28 patients suffering from refractory chronic CH, alleviation of pain was achieved in 67.1% of full stimulation-treated attacks compared to 7% of sham stimulation-treated attacks (p<0.0001). Long-term results (24 months; 33 patients) confirmed the efficacy of SPG stimulation as an abortive treatment for CH attacks. Moreover, 35% of the patients observed a >50% reduction in attack frequency, suggesting that repeated use of SPG stimulation might act as a CH-preventive treatment. Globally, 61% of the patients were acute responders, frequency responders, or both, and 39% did not respond to SPG stimulation. 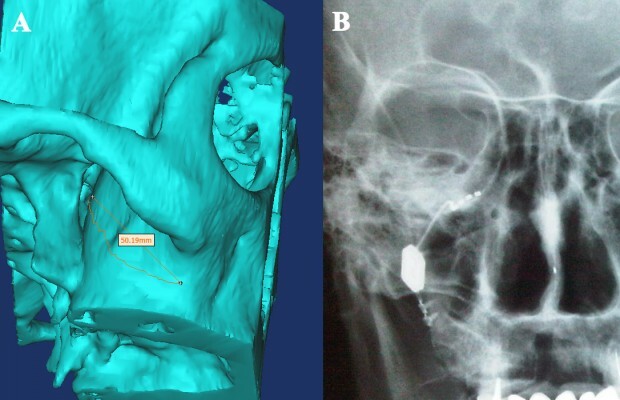 The safety of SPG microstimulator implantation procedure was evaluated in a cohort of 99 patients; facial sensory disturbances were observed in 67% of the patients (46% of them being transient), transient allodynia in 3%, and infection in 5%. SPG stimulation appears as a promising innovative, efficient, and safe therapeutic solution for patients suffering from severe CH. It has shown its efficacy in aborting CH attacks compared to placebo stimulation, suggesting that it is particularly adapted for CH patients who are not sufficiently improved by abortive treatments such as sumatriptan and oxygen. However, further studies comparing SPG stimulation with standard abortive and/or preventive CH treatments will be necessary to define more precisely its place within the management of severe chronic and/or episodic CH.